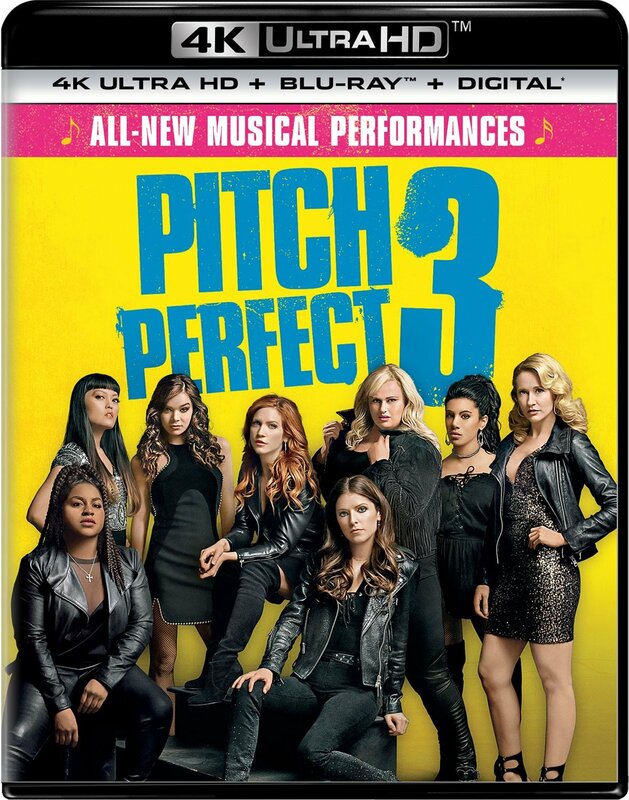 After winning at the Acapella World Championship during their final year in college, Beca (Anna Kendrick) and the rest of the Bellas a underwhelmed by their lives. Each of their college relationships have ended and their career aspirations are not all panning out the way they had hoped, leaving them longing for their glory days as acapella performers. When an opportunity comes along for them to reunite on a European USO tour, the Bellas set their worries aside and try to recapture their old magic. 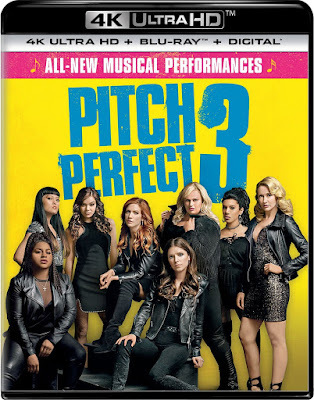 While the bonds of the female friendships in the film are much the same, including the humorous buddy elements brought to the film by the banter between Beca and Fat Amy (Rebel Wilson), the replacement of the franchise’s male characters is unfortunately apparent. Even with new love interests shoe-horned into the plot, the new men provide little other than eye candy. One exception is DJ Khaled, who appears as himself and has little problem making fun of his own spaced out personality. The other comedic new addition to the cast is John Lithgow as Amy’s absentee father, and the cause of the Bellas espionage sub-plot. Even though there isn’t a championship organically fit into the plot, there is a competition when DJ Khaled offers a record deal to the USO performer that impresses him the most. The Bellas are up against more than usual as the only acapella group on the tour, forced to compete against bands with instrumental assistance. But the acapella connection that has tied all of the films together is severed even further by Beca’s aspirations to over-produce her own music in contrast to the simplicity of vocal performances they are known for. If the lesson that the Bellas learn is that nothing can stay the same forever, the franchise seems to have learned the same lesson by veering away from what made the first two films so successful. Despite an explosive opening sequence, complete with a slow-motion pyrotechnic stunt that is exaggerated for effect, the primary benefit of the 4K Ultra HD release is the immersive audio. Even with a smaller role in the plot, the music is still one of the main reasons this franchise remains enjoyable. With that being said, Pitch Perfect 3 is a colorful film. It may not be as flashy as some action spectacle, but the picture is sharp and the colors are deep, making the 4K a noticeable upgrade. The 4K disc comes with only the movie, but there is also a Blu-ray disc that also contains the film’s special features. This includes all-new musical performances not include in the film, as well as additional deleted scenes and a gag reel of the cast having a blast during filming. The comradery between the cast members is also clear in the behind-the-scenes footage of the various making-of featurettes. There is one about the last installment of the franchise, as well as one about Khaled and another focused on Rebel Wilson’s contributions to the movies. The extras also include a digital copy of the film.